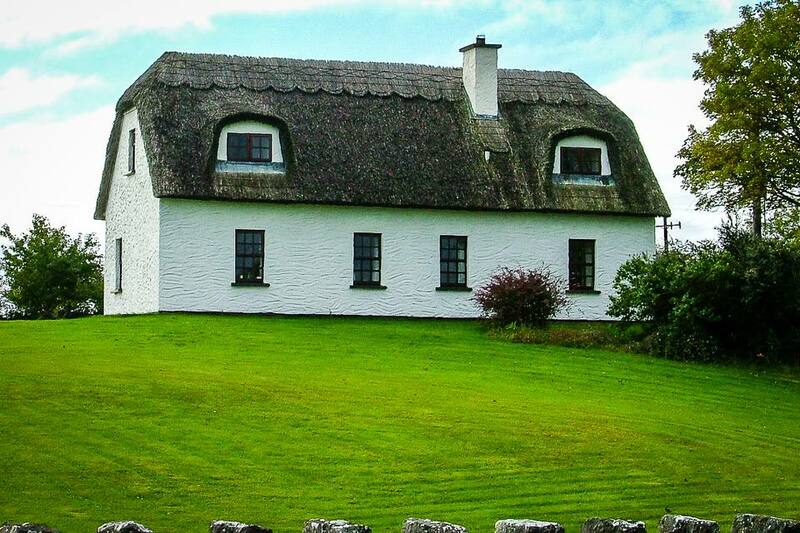 A holiday home in Ireland is a dream often dreamt, by locals as well as by foreign visitors. Many a Dubliner would wish for a cottage in Connemara, and for Irish-Americans, anything “quaint” enough will do, even if surrounded by a dozen or so identically quality cottages in a purpose-built development. Buying a holiday home in Ireland was a common-and-garden occurrence before the property boom hit the island. This was followed by the 2008 crash and recession, but many small cottages or purpose-built holiday homes were still sold to British and European customers, to a lesser degree to international clients from overseas. Because Irish holiday homes were long regarded as cheap, then at least as a potentially very successful investment. During those times, even the most casual visitor seemed to be able to cajole Irish banks into providing mortgages. Well, until 2008, when the whole property bubble burst and many “fool-proof” investments ended up like the proverbial albatross around the neck. And today? To be honest, buying Irish property as a holiday home away from home might still be attractive. But it all comes down to numbers. Here are the basic facts you need to know. Generally speaking, anyone who can pay for it. As owning property in Ireland does not confer any rights of residency, even those depending on visas may buy. Overseas investors are welcome in general. Is It Possible to Get an Irish Mortgage to Buy a Holiday Home? In theory... yes. In practice, this has gone the same way as Lehman Brothers at about the same time. Virtually no banker and definitely no sub-prime lender will today stump up the purchase price of a holiday home. It is hard enough to get a mortgage for ​a residential property if you want to be an owner-occupier. Actually in the pub over a pint ... if both parties know what they are doing. There are no laws governing the correct process of buying and selling a property. The more usual way, however, is through the offices of an estate agent. They will be the intermediary between the buyer and the seller and facilitate viewings. One interesting fact: The estate agent takes his fees out of the sale price, this will be handled by the seller. There should be no payments from the buyer (though, ultimately, you will pay for everything). Where Do I Find Estate Agents? In virtually any larger town and, of course, on the internet. The main difference between individual agents being whether they display the “asking price” (not a fixed sum) or whether you have to contact them in person for this. Please note that the same property may be on offer by several estate agents, often with a differing asking price. You may find a decent list of estate agents on websites like​ myhome.ie. If the Asking Price Differs, Which One Is “Real”? All are, but the lowest would be the most realistic. Stay near that with your offer - a higher offer will be gladly accepted, but having the same property on the market with several estate agents at different prices carries a whiff of desperation with it already. Who Do I Make the Offer to and What Happens Then? You make the offer to the estate agent who will convey it to the seller who will then accept or decline. Acceptance may be taken back later ( “gazumping” used to be quite popular, and is making a comeback too), but in our leaner times, a quick sale is often the optimum for the seller. Technically not, but you should always employ the services of one to make sure everything is kosher. The estate agent may recommend a local solicitor, should you not be able to source one yourself - a good starting point is the Law Society of Ireland. What Is the Cost of Buying Property? Legal fees – As there is no fixed rate of charges, solicitors can offer quite competitive (or extortionate) rates for “conveyancing work” (the legal fees associated with buying property), to obtain quotes. The charge may be a flat fee or a percentage of the purchase price. Other costs associated with the legal side include Land Registry fees and legal searches. Survey fee – A survey is optional but recommended when buying a second-hand house. Cost can again vary, get quotes in. Stamp duty – Expect to shell out around 3,000 to 5,000 Euros for legal fees, another 500 to 1,000 Euros for a surveyor and the two percent stamp duty. Those Are All the Costs, Right? No, they are not ... for starters, you will have to pay an annual property tax on your holiday home – and water charges have also been introduced (though they may be scrapped again in the near future). Plus there might be charges relating to a septic tank on the property. At least you'll have to pay for emptying the septic tank on a regular basis. As to insurance – it is your risk, you decide. Let me just say that if you buy one of those romantic thatched cottages, the romance will fly out of the window once you try to get fire insurance for that (hard to find and expensive). So, Will My Holiday Home Pay for Itself? That is down to pure math... say you are planning on having two vacations for two to three weeks every year. When using rented self-catering property, this would set you back anywhere between 2,000 and 4,000 Euros per year. Let's go with the higher number for the sake of argument. From these 4,000 Euros deduct 300 Euros for current taxes, you are left with 3,700 Euros to spend. Deduct a reasonable 1,000 Euros for maintenance and insurance (if you are so inclined) and you arrive at € 2,700. This is what, in comparison, your own property will have cost you per year in the purchase price. Now assuming you managed to source a holiday home for 75,000 Euros, plus 5,000 Euros fees and taxes... and you will see that you need to spend thirty years holidaying for five weeks to come clean. Then again: As soon as you let friends and family stay there, or even rent it out, the costs will plummet.